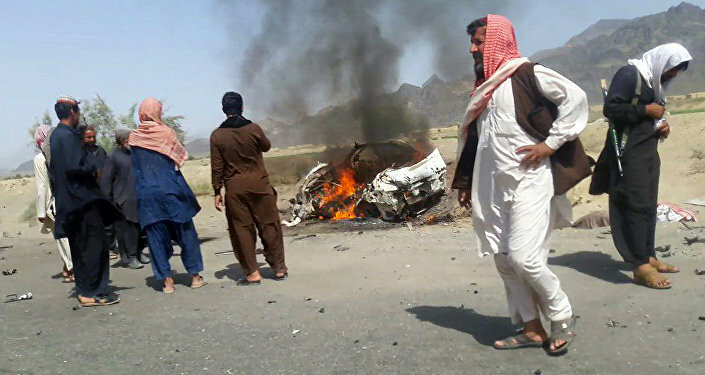 The death of Taliban leader Mullah Akhtar Mansour in a US drone strike will not substantially weaken the "hydra-like" insurgent movement, especially if it continues to receive material support from Pakistan, experts told Sputnik. 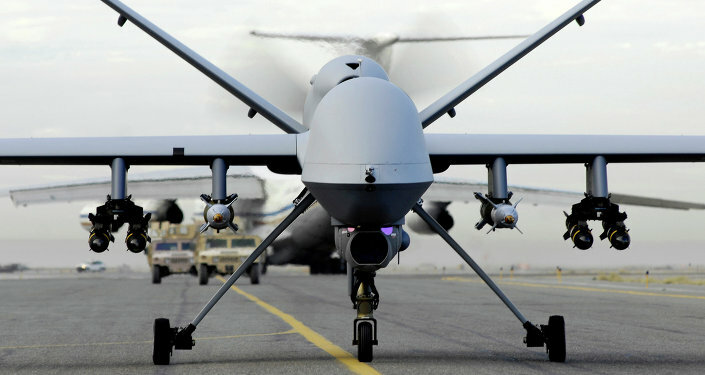 WASHINGTON (Sputnik) – On Monday, US President Barack Obama confirmed Mansour's death in a US drone strike carried out Saturday. Mansour had been the Taliban's top commander since the group's longtime leader Mullah Mohammad Omar was confirmed dead by the Afghan government in July 2015. "It is a multi-headed monster," Director of Afghan Studies at University of Nebraska at Omaha Thomas Gouttierre said Monday. "The only thing that is going to totally degrade this Taliban insurgency is if the Pakistanis really invest themselves fully into ending their existence." Mansour’s removal will momentarily "discombobulate" one element of the Taliban movement while they decide who will be their next leader, Gouttierre, who served in Afghanistan as a US State Department officer, Peace Corp volunteer and coached the country’s national basketball team, said. The concept, he added, of a monolithic Taliban was a myth because the movement is really made up of several disparate factions with their own unique agendas. Mansour led the Taliban’s Quetta Shura faction in Pakistan’s Balochistan province, Gouttierre explained, but there are several other militant groups affiliated with the Taliban, including the Haqqani Network, and others loosely associated with the movement such as Hezb-i-Islami of Gulbuddin Hekmatyar, which recently struck an accord with the Afghan government. "A lot of these groups have nothing in common other than their struggles against the Kabul government and many of them have their own regional, local interests," Gouttierre stated. University of Arizona Professor David Gibbs told Sputnik that the recent killing of Mansour is being touted by NATO as a "turning point" in the Afghan war, an unlikely development considering the deaths of Osama Bin Laden and Mullah Omar did little to resolve the conflict. "The Taliban will find a replacement for Mullah Mansour, and the war will go on as before," Gibbs argued. Another possibility, Gibb surmised, is that resistance to the US presence in Afghanistan and to the Afghan government will move to other militia factions not officially connected with the Taliban but who share its "violent Islamist ideology." The central issue, Gibbs noted, is that the post-2001 government in Afghanistan has never established a real sense of legitimacy among its people, which is the main factor that fuels the armed opposition. Earlier on Monday, US State Department spokesperson Mark Toner told reporters that the United States did not see any indications that Mansour was willing to join the reconciliation process in Afghanistan before he was killed by a US drone strike. On July 29, 2015, Afghan President Ashraf Ghani’s office confirmed that, "based on credible evidence," Mullah Omar had died in Pakistan in April 2013.